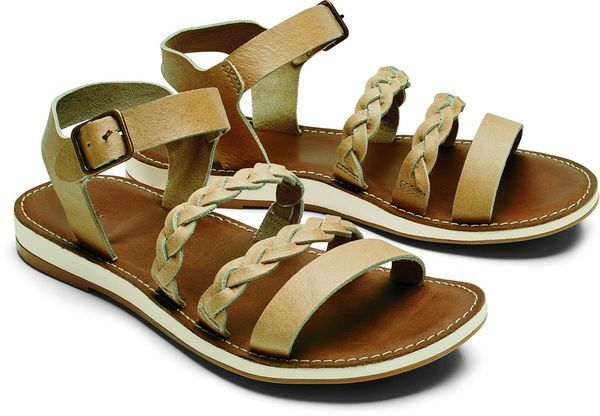 Upper: An unlined, premium, natural USA tanned full-grain leather braided upper with an adjustable ankle strap for customized fit. Footbed: Anatomical molded EVA midsole with a premium full-grain leather footbed cover and plush foam underlay for all day comfort. Outsole: Non-marking molded rubber outsole with forefoot traction pods.